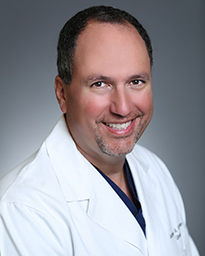 Andrew A. Selzman, M.D., graduated from Trinity University in San Antonio, Texas, and received his medical degree from The University of Texas Health Science Center at San Antonio. He continued his training in general surgery and urology at Case Western Reserve University in Cleveland, Ohio. Dr. Selzman currently serves as Chairman of Urology at Memorial Hermann Memorial City Medical Center. Dr. Selzman, who speaks Spanish, sees patients ranging from newborns to adults. He treats a wide array of urologic conditions, including bladder cancer, kidney cancer and stones, prostate cancer and urinary tract reconstruction. He has specialty training in robotic-assisted procedures and is a proctor in Robotic Surgery. Compassionate and thorough, Dr. Selzman takes the time to listen to his patients and believes in an open relationship. Because Dr. Selzman treats his patients as if they were his friends, he believes in doing everything possible for them to ensure they are taken care of and can get back to the joys of everyday life. Dr. Selzman enjoys spending his free time with his family, playing golf, exercising and playing with his two mini dachshunds. Learn more about Dr. Andrew Selzman.